Do I Have A Credit File? Everyone has a credit file. You may not have applied for any credit (liabilities) with any financial lender or credit institution, however, you would have a credit file with your current bank with whom you use for your day-to-day banking and deposits. Apart from having a credit file, you would have a credit score. A credit score is only performed at the time of loan submission with a proposed lender who uses internal credit scoring based on the information submitted on the loan application. 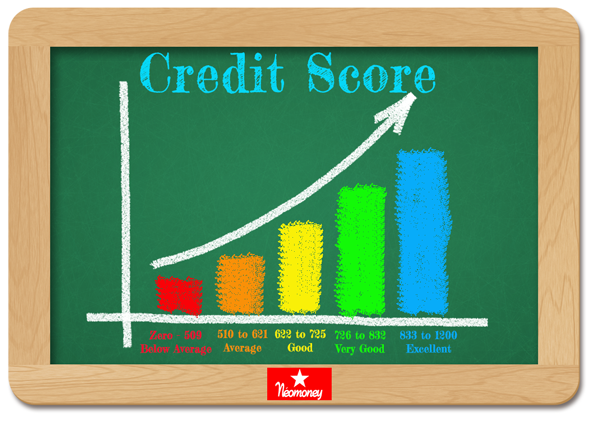 A credit score is performed when all your information is electronically entered into the lenders’ electronic systems. The lenders internal scoring is a guarded secret that looks at your data, assets and liabilities, time at address, etc. and calculates a score to either do business with you to lend you the approved loan facility or not to do business with you at all. Previously to Positive Credit File Reporting only repayments that were 60 to 90 days or more behind could be recorded as a default, however, now your entire credit repayment history will be recorded. Credit File scores fall in a range between Zero to 1200. If you can score in above the 622 mark you are more likely to obtain finance however other factors, like lenders internal scoring, may hinder your chances. If your score come is below the average mark, below we run through a few details how you may seek to increase your scoring. How long do these enquiries stay on my credit file? From the diagram above you can see the length, a credit mark remains on your credit file. Having one of these above marks on your file, a majority of lenders will refuse to do business with you. Can I have these removed? If you believe a credit provider, lender or other types of business, may have registered a mark against your credit file we suggest you obtain a copy of your credit file. Your credit file can be obtained from Equifax www.mycreditfile.com.au/personal/ and for more business related credit reports from Dunn & Bradstreet www.dnb.com.au. The points below indicate the way to obtain your credit file for free or by paying the fee to receive it the same day. How would you like your file sent to you, via: Post, Fax or Email? After obtaining a copy of your Credit File what do you look for? Additionally, obtaining a report of your credit file will help detect and prevent identity theft. If you find any unusual details on your credit file, ‘immediately’ inform Equifax and your credit providers if you notice any suspicious activity in your financial accounts. The faster you act, the better the chance of a speedy recovery. Can I have these marks removed off my Credit File? If you believe you have a mark on the credit file that should not be listed on your credit file and the entity will not remove the mark, there are a number of Credit Repair Companies who can help repair your credit file. Contact us to put you in touch with these companies.